Every state operates slightly different when it comes to their notary laws and processes which is why it is necessary for individuals to do their due diligence even if they have been notaries before. 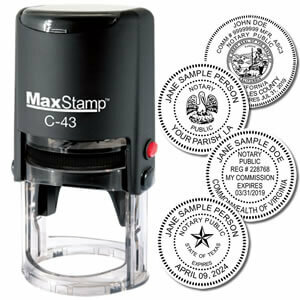 Regulations can also change throughout the years so the stamp you once had may need to be updated according to the latest standards. The notary seal in Ohio must contain the state’s coat of arms in a 1” diameter circle along with “Notary Public” and “State of Ohio.” The notary’s name and county of residence can also be included but are not mandatory and can be handwritten or typed on the documentation. Of course, it is much simpler on the user to have all the information displayed on an easy-to-use tool to avoid the process from being any longer than it has to be. 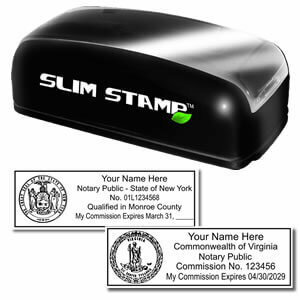 Notaries can use either a stamp or embosser as long as the items meet the standards as outlined in the regulations. Ohio regulations stress the importance of notaries using and turning in their record books once they have finished their term. This gives the governing authority a viable way to account for all transactions and who made them throughout the years. The official notary seal is just as necessary although there are some pieces of information that are not mandatory to be included on the image. When you order all of your notarial supplies from a reliable vendor you can be sure that materials will be top quality and everything will be delivered in a timely manner. Your vendor should have all your supplies available to view online including the notary public record book, stamps, seals, ink pads and accessories. In this professional and authoritative position, it is important to have the right tools with you at all times which includes the stamp or seal and the record book so that you can perform your duties in the proper manner. When you order the best supplies then you can be sure that all images will be clear and concise in appearance giving the paperwork the respect it is due and creating a valuable impression every time.